We’ll be honest with you. 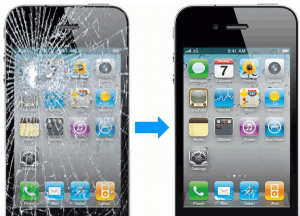 Cracked iPhone Screen Repair is a competitive business in Orlando. There are A LOT of companies claiming they are the best choice to fix your cracked or broken iPhone screen. With so many options to repair your iPhone in Orlando, we’ve learned that most of our customers care about low pricing and quality/convenient service. Because of that, we’re offering the following local deals for our the Orlando market only! And as always, if you find a better price advertised locally, we’d be happy to match it! You must mention our “Local Deals” to receive this special pricing (it wouldn’t be a deal otherwise!). This deal is valid for this local store only (our other stores, laundromats, grocery stores, etc. will all look at you strange if you try to use it there). Yes! We repair more than just screens on iPhones. For quotes on any problems/devices not on this list, please either browse through the rest of our website or give us a call anytime! We’d be more then happy to assist you!